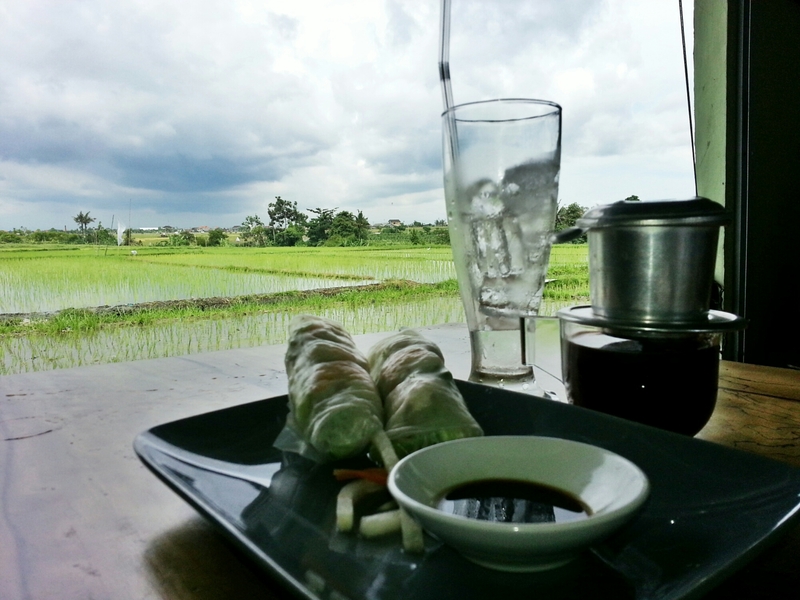 Pho with rice field view | Bali Eclectic Info, be Beachylicious! Bali Eclectic Info, be Beachylicious! Enjoy pho and vietnamese coffee in one warm afternoon in a small, simple, and cozy waroong with nice breeze of rice paddy fields around. Yumm! Filled your stomach and your eyes as well. Other vietnamese foods also available served by its origin nice vietnamese lady. The price is alright but for a small waroong do not expect you will pay cheap price. YEH GANGGA surfing beach with a love shaped whole on the rock or is it crocodile face shaped of rock?